ATTENTION: THIS TRIAL VERSION, KEYS CAN BE USED ONLY IN NEW ACCOUNTS ON WHICH EARLY SUBSCRIPTION TO THE XBOX GAME PASS WAS NOT ACTIVATED! The code must be activated from the website or console! The key will fit ONLY for XBOX ONE, ONLY for newly created accounts and ONLY for downloading free games for Gold status! Account holders will not be able to play online! Please take this into account, because after the purchase we will not be able to help and no complaints about this do not accept! Microsoft is fully responsible for the proper operation of the Xbox Live service. The list of countries where Live sevice is supported is http://www.xbox.com/en-US/live/countries, but the key cannot be activated in Romania, Hungary and Cyprus. With the Xbox Game Pass you will always have something to play. Find and download games that you have long wanted to play, including the legendary old editions in maximum quality, without problems with streaming or connecting. Enjoy games of all genres, such as action and adventure, as well as family games, tough shooters and sports simulators. Do you like the Xbox One game in the catalog and want to buy it? Buy it and save 20%, and also get an additional 10% discount on any add-on for playing Xbox One in the catalog. 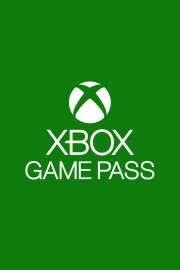 The Xbox Game Pass is an access to the directory in which new games are added every month. 1) On the Xbox Live welcome page, click Continue. 2) Enter a NEW gamertag (nickname) that you have not used before. 3) The next step is to enter your Windows Live ID. Click "NO" to create a new account. 5) Select a language and specify a date of birth. 6) Enter the new email address that you didn’t use before to create your Windows Live ID. 7) Enter the password and security question. 2) Click Sign In in the upper right corner. 3) Enter your data and go.